Kathie Camara is a Certified Valerie Stewart Portrait Instructor. 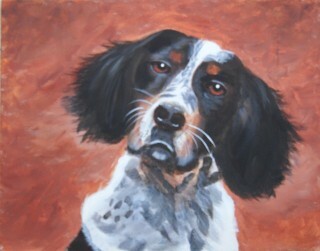 She has painted many portraits with Valerie and in Jan. 2010 completed a 3-Tier intensive portrait certification course. This course reinforced the fundamentals of portrait painting using the Valerie Stewart process and techniques and how to communicate those to other painters regardless of the painting style being used. Kathie has developed her own series of workshops for students interested in becoming Portrait artists. For Directions to studio, click HERE. 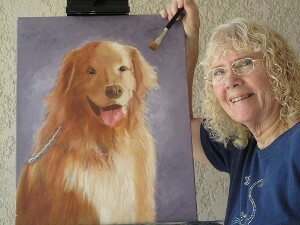 You will begin your journey to portrait painting by painting a likeness of your pet using your own photo that Kathie has *approved in advance. During the workshop, you will learn the techniques for taking good photos, transferring likeness to canvas, underpainting, adding color washes, hair (fur), eyes, noses, etc. Portrait painting techniques are employed. Once you have mastered both Level 1 Pet and Level 2 Portrait Workshops, you may attend any Portrait Workshop that is scheduled and Kathie will assist you with painting a likeness of either a Pet or a Face of your choice from a photograph that you bring to class. (Level 3 students may bring your own canvas, up to size 18 X 24, basecoated in advance. 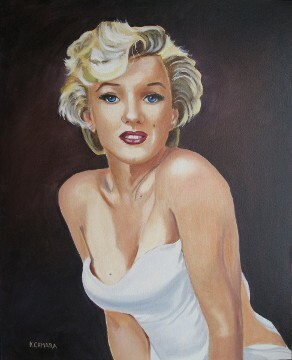 You may paint 1 or 2 faces, however, you most likely will not finish your larger portrait in the 2 days.) Portrait painting techniques are employed. Yes, you can paint portraits like these. It's easy, once you know how! Workshops start at 10 am and end at 4 pm each day. 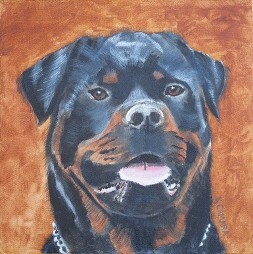 Paint, mediums, basecoated canvas are supplied in your fee of $150. Workshops are small, 4 - 6 students, so you get personal attention. You do need to register in advance and send in a $50 deposit in order to hold your seat. Balance is due on the day of the workshop. View Portrait Workshops Album for paintings already done in class .